Let us discuss what you need to provide us for this year’s personal tax filing and corporate tax filing. The best thing you can do is to accumulate any W-2 and 1099 Forms for the year you are filing. Then, along with your form(s), bring us your property tax receipts, interest statement for your house and a list of any unusual transactions e.g., inheritance, cash gifts or anything else which you are unsure on how to file correctly. 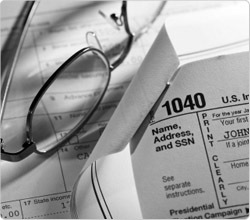 Our office will need these documents in order to adequately serve your individual tax needs. Please Note: If you are a new client, please bring a copy of last year’s tax return as well.